Lynda.com is now LinkedIn Learning! The same great content from Lynda.cοm is now delivered through an intuitive, new learning experience that’s more personalized and easy-to-use with LinkedIn Learning. All active students, faculty, and staff now have full access to LinkedIn Learning and the over 13,000 expert-led courses covering business, design, technology, and much more available 24/7. Visit smu.edu/linkedin to get started. When activating your new LinkedIn Learning account, you will have the opportunity to connect it to your personal LinkedIn account or create a LinkedIn account, if you do not have one. While it is not required to create or link a LinkedIn account, there are some additional benefits. By linking the two accounts, your data can be used to personalize your experience across LinkedIn and LinkedIn Learning. 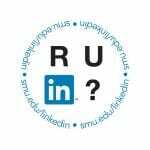 For example, your LinkedIn profile may be used to provide course recommendations on LinkedIn Learning or your LinkedIn Learning coursework may be used to recommend profile updates. If you have any concerns about connecting your LinkedIn profile, such as, if SMU will have access to view your LinkedIn activity or bringing your history from Lynda.com, please see the FAQs about the LinkedIn Learning Upgrade. If you have any questions, please feel free to contact the IT Help Desk at 214.768.HELP (4357) or visit the LinkedIn Learning Help Center. Our Watch and Win with LinkedIn Learning Contest will run from January 14, 2019, to February 14, 2019. To enter just watch at least one LinkedIn Learning video for a chance to win an Apple TV 4K and other cool LinkedIn items.